Bulgarian Prime Minister Boiko Borissov has reacted to the fire devastating Notre Dame cathedral in Paris, writing in a Twitter message: “My thoughts are with the French people and the whole Catholic world”. “It is terrible to witness 8 centuries of history destroyed in #NotreDameFire. The courage of all Parisian firefighters who are doing their best tonight to save this heritage will never be forgotten,” Borissov said. Bulgarian Deputy Prime Minister and Foreign Minister Ekaterina Zaharieva said: “700 years of history in flames. My thoughts are with the people of #France and all the #Catholics. #Paris, #NotreDameDeParis #NotreDame @francediplo_EN @France_Bulgarie”. 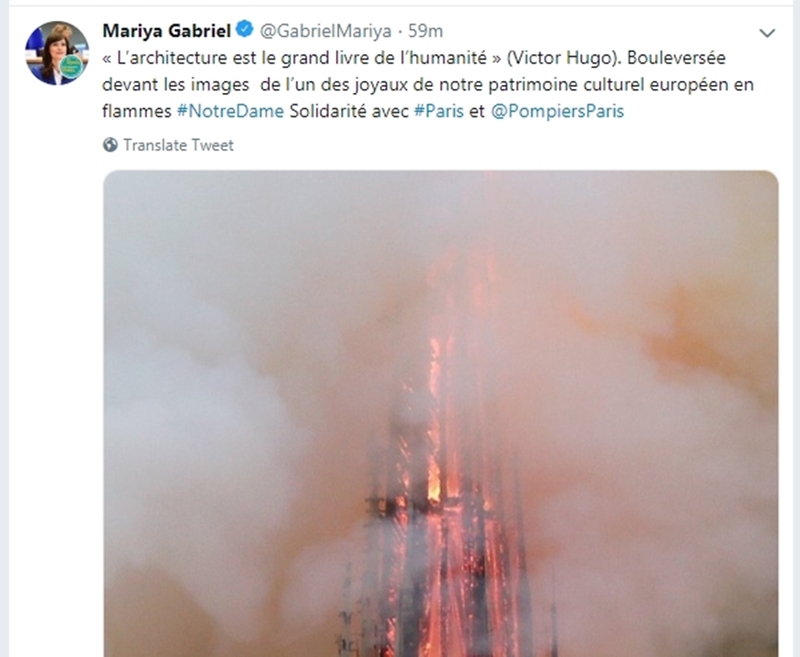 Writing in French, Bulgaria’s European Commissioner Mariya Gabriel spoke of her upset “at one of the images of one of the jewels of our European cultural heritage in flames”.